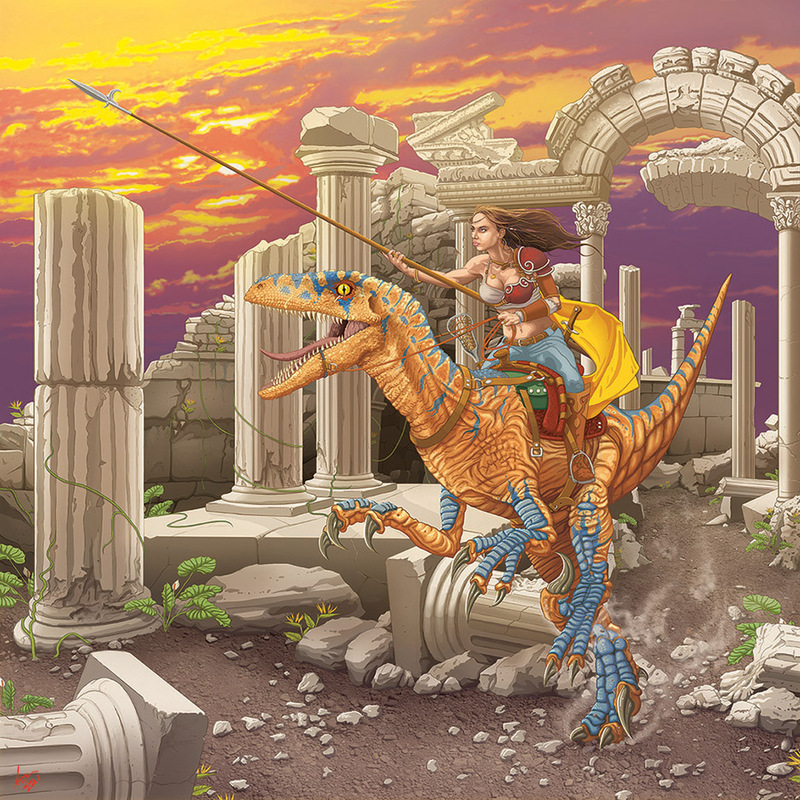 Finished a new illustration, the "Raptor Rider". 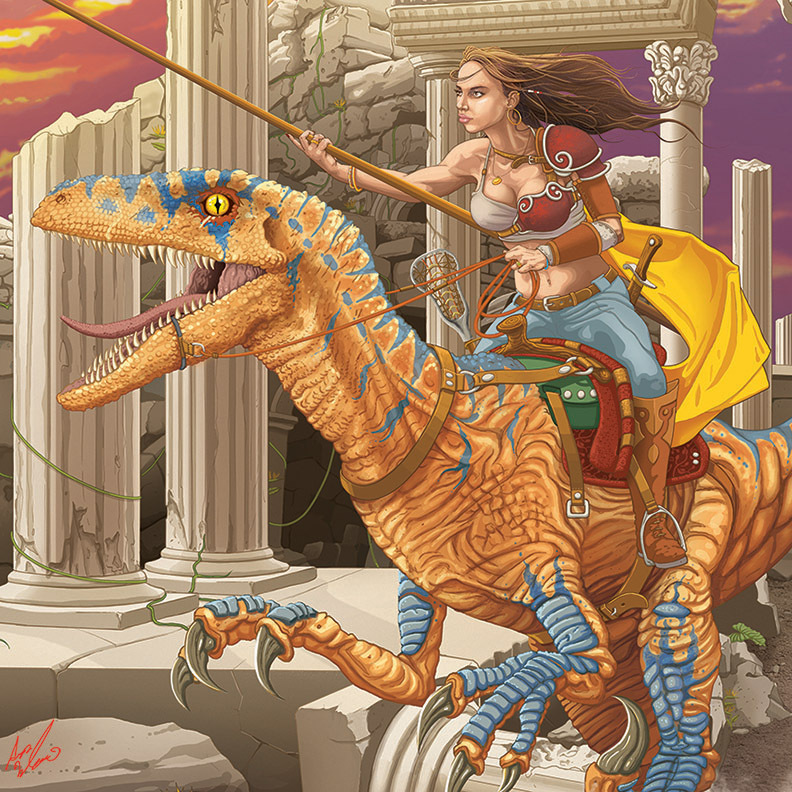 Featuring my sister-in-law Alicia atop an awesome velociraptor. This is another addition to my series of "Warriors Riding Giant Beasts". Hope you all enjoy it.